The Guardia Civil has announced the arrest of 46 suspects, 43 in Italy and three in Spain, believed to be involved with trafficking over 600 kilograms of cocaine. 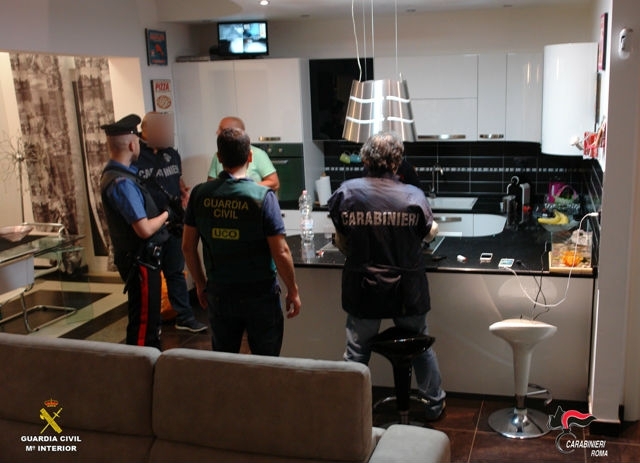 Operation San Marino, which involved co-operation between Spain´s Guardia Civil, Italy´s Caribinieri and Panama Police, has successfully broken an intercontinental drug trafficking operation which moved cocaine from South America to Spain. The drugs were smuggled inside metal machinery into Italy where they could be distributed throughout districts in Rome. Of the arrests that took place in Spain two were in Malaga. The suspects were of Chinese, Colombian and Panamanian citizenship. The illegal activities were mostly organised by the mafia based in Calabria, representatives from which visited Spain regularly and met with those linked to groups on the American Continent.